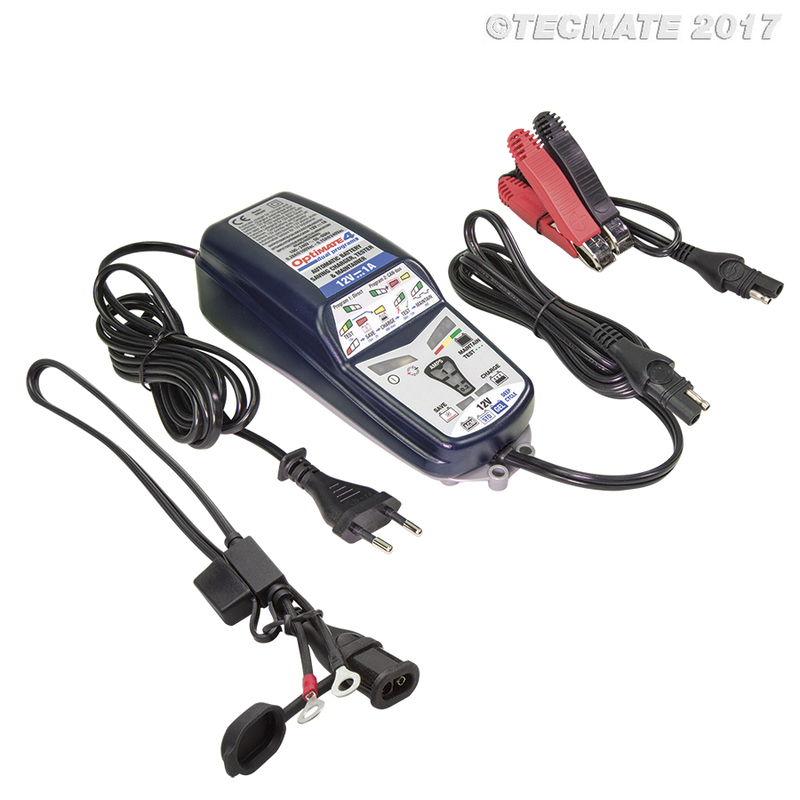 The most ADVANCED & TRUSTED battery charger in power sports! 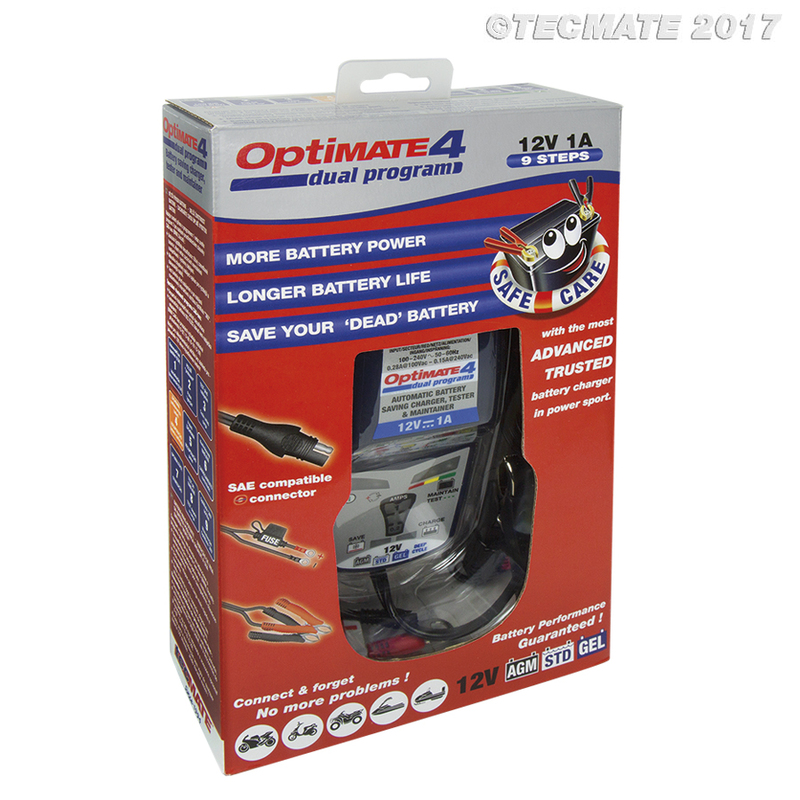 OptiMate 4 Dual Program includes two charging programs; program 1 is for direct charging of a battery, program 2 allows safe and unsupervised charging through a BMW motorcycle’s CAN-bus controlled 12V socket. 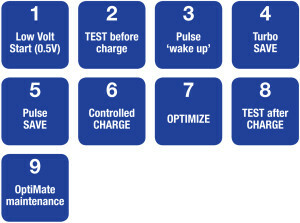 OptiMate 4 Dual Program tests before & after charging and can recover a ‘dead-flat’ battery from as low as 0.5 Volts. 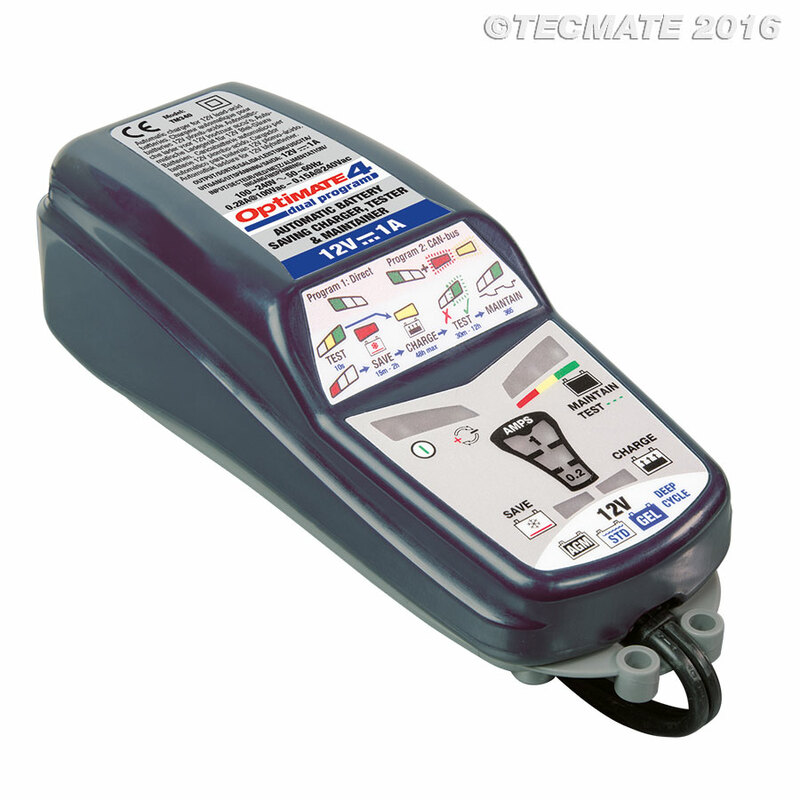 Automatic KEY-LESS activation and continued maintenance until charger is disconnected. Safe low voltage pulse desulphation. 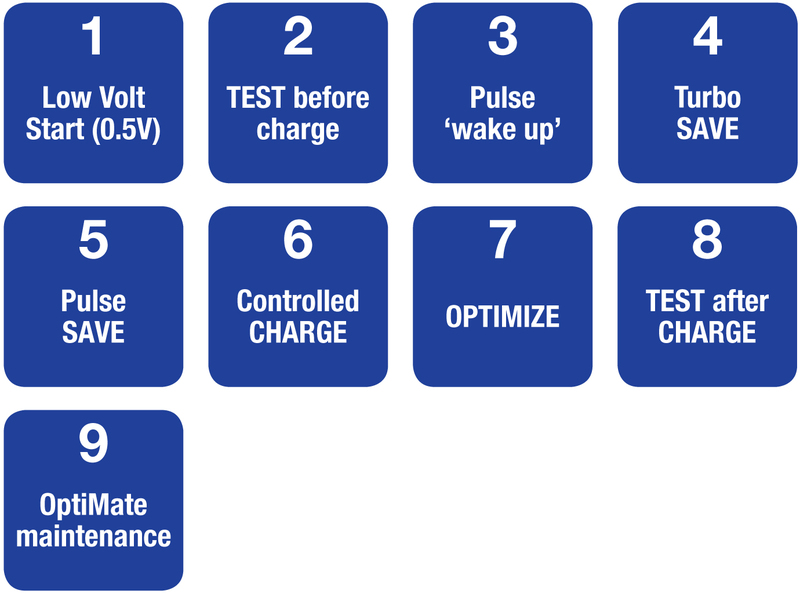 SAVE : Low Volt Start of 0.5V + 2-step* desulphation recovery (*1-step low volt pulse save during CAN-bus mode).